As temperatures fall and gardens fade to brown, it’s comforting to know that at least one crop shines in the dead of winter—the resilient oyster. At this time of the year, oysters have been fattening up, ramping up their stores of glycogen in preparation for dormancy in frozen-over waters. What does that mean for us? Glycogen contains chains of glucose units, which are easily broken down by enzymes in our saliva. Hence, when you chew a glycogen-rich oyster, you get a natural sweetness, one that you don’t taste if you simply swallow the oyster. All of this is to say that now is prime time for hitting raw bars or doing some shucking of your own. Here at Element Seafood, we’re pleased to introduce some new favorites for the season, three oysters which span three different species, textures and flavor profiles. Keep an eye out for these aquatic candies! First up: the Kobashii oyster (pictured above). The algae-rich waters of Totten Inlet, WA nourish the Kobashii, which comes with the gleaming, fluted shell typical of Pacific species oysters (Crassostrea gigas). Kobashii is the Japanese word for smoky, deep roasted, or slightly burnt. True to its name, the Kobashii oyster has a distinct smokiness and a rich flavor reminiscent of water chestnuts. The smoke is complemented by the sweetness and cream that characterize West Coast oysters. 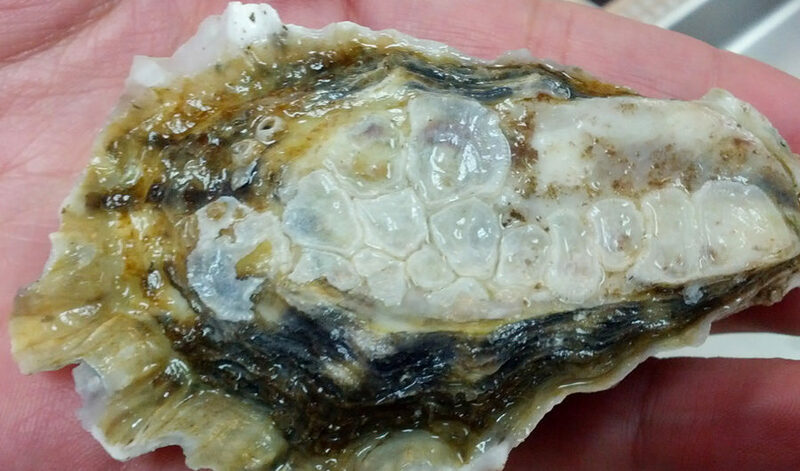 If you’re a fan of Kumamoto oysters and want to branch out, this is the oyster to choose! The Little Shemogue may be diminutive in name but comes with big personality. These Eastern oysters (Crassostrea virginica) are raised in the Little Shemogue Bay of New Brunswick, where they bathe in a rich mixture of minerals and Atlantic salinity. Farmers Barry Kratchman and Mitchell Feigenbaum were high school friends who worked together at the Kratchman family’s live eel business, and eventually they returned to the seafood trade through Little Shemogue Oyster Farm. 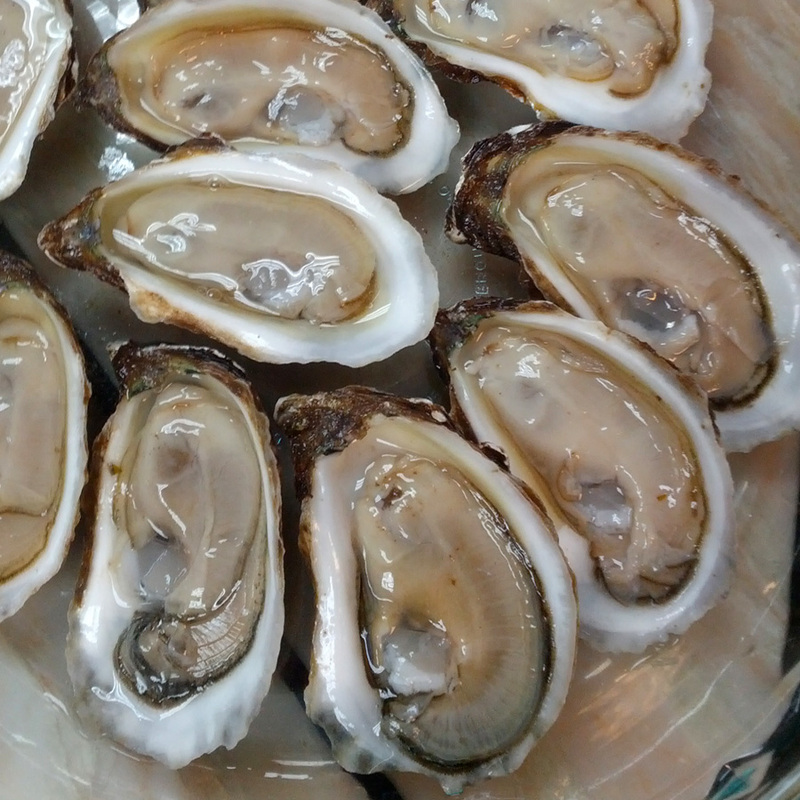 They’ve modernized the operation a bit, but the oysters still retain the quintessential New Brunswick hallmarks of crisp meats, medium brine and clean, sweet finishes. We love this perfectly balanced taste of New Brunswick and hope to let more people in on the secret. Finally, the Belon oyster is probably unlike any other oyster you’ve tried, with its flat, round, almost disk-like shell. This oyster species comes from Europe, and accordingly, is called the European Flat (Ostrea edulis). The thin, razor sharp edges make them notoriously difficult to shuck, and because the shells have very shallow cups, the oysters tend to have trouble holding their liquor and staying closed. 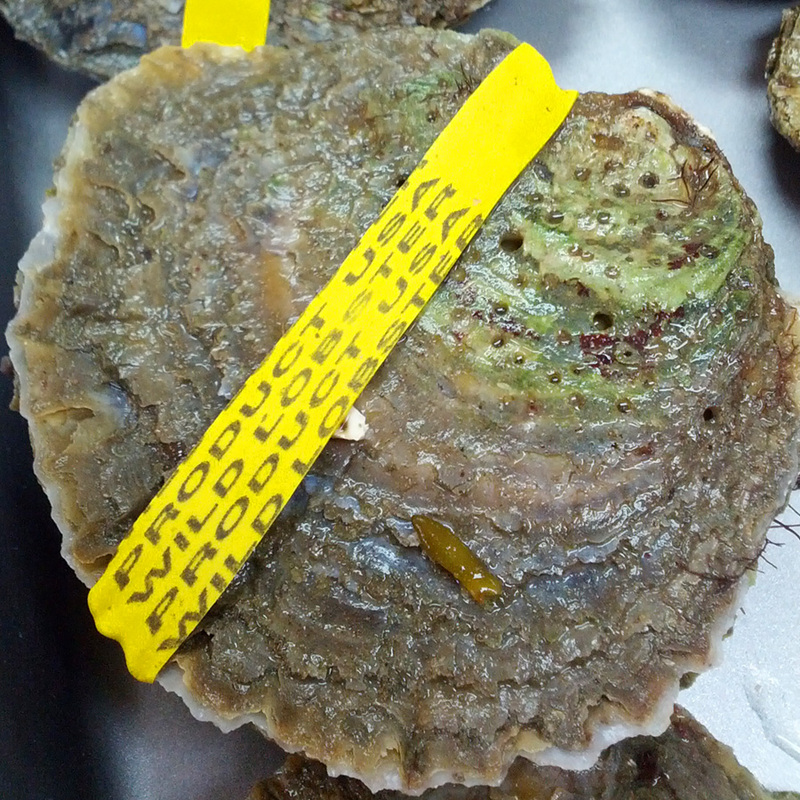 That means Belons have a much shorter shelf life, and typically they are rubber banded to help the oysters stay closed. The Belon River in France is famed for producing these oysters, however disease and overconsumption have eliminated many of the old oyster beds. Nowadays, over 95% of the oysters produced in France are actually Pacific species oysters, which are hardier and more resistant to disease. Still, the Belon oyster has a strong hold on the national psyche, and there has been a resurgence of interest in growing and protecting the species. In the US, you can’t legally import Belon oysters, however you can get ones grown in Maine. In the 1950s, scientists brought Ostrea edulis seed to Boothbay Harbor and the seed transplanted itself into the Damariscotta River, where wild beds developed and have been producing Belons ever since. The oyster has not been successfully grown anywhere else in the US, so they are relatively rare and expensive, but worthwhile if you can find them. They pack a powerful punch of sea and mineral, with complex fish and celery notes and a metallic zinc finish. If you’re feeling daring, take a chance on the Belon to feast on the oyster that King Louis XIV would have enjoyed!